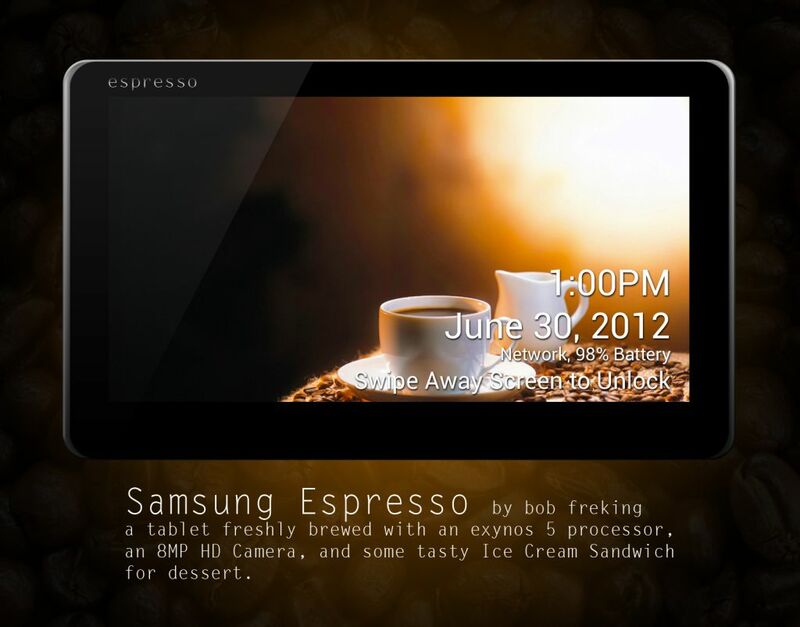 Samsung Espresso 10 and Espresso 7 Tablets Coming This Summer, Rendered Now! Bob wants Samsung to “battle in the high end segment” and not be happy with the lower end one. He imagines an Exynos 5 A15 processor will be on board, as well as an improved camera, to finally get rid of all those poor 3MP sensors on the latest Sammy slates. The designer wants an 8 megapixel camera this time, the same sensor on the Galaxy S II, plus a case that’s as thick as the one of the Galaxy Tab series and Android 4.0 ICS as a must have feature. Expandable storage, 4G LTE and 3G are also available. Bob pictures the Samsung Espresso 10 and Espresso 7 as having a 2560 x 1440 resolution, that beats the one on the iPad 3 and gives the tablets a 290 ppi status. Finally, the designs came with some prices associated, such as a minimum of $399 for the 10.1 inch Espresso tablet with 16GB of storage and WiFi. Add to that 3G and the price goes to $449, add 4G and it’s $499. The 7 incher 16GB Espresso goes for $299, but once again these are merely speculations!